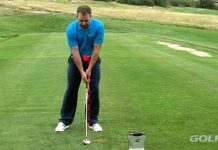 Amateur golfers often struggle with getting out of the sand on a consistent basis. 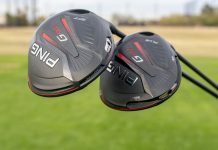 A large part of this problem can be traced simply to a misunderstanding of how the club interacts with the sand, and how to use it the way it’s designed. This namely applies to using the club’s “bounce” effectively. 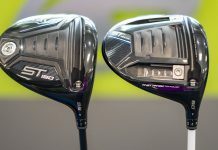 So, we’re back with GolfTEC’s Director of Teaching Quality, Brad Skupaka, to explain all things bounce so you have a little more in your step the next time you’re in the sand. 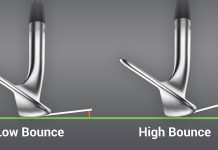 Bounce is the angle formed between the leading edge of the clubface and the lowest point of its sole. When navigating sand shots with your wedge, the bounce helps it refrain from digging too deeply into the bunker, like a shovel. 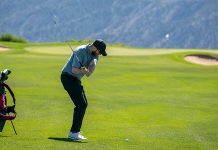 If used properly, the bounce helps the club pass through the sand more shallowly — a key contributor to the ball’s ability to get up and out easily. A common error in bunker play happens before the golfer even swings, occurring from an improper setup. 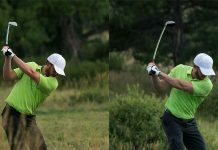 Golfers will often position the handle too far forward at address, thus effectively decreasing the bounce (below, left). 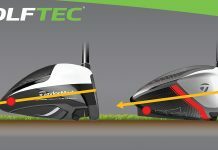 This squares the face far too much and creates an unwanted digging attack from the dominant leading edge taking over, instead of the club’s bounce angle being utilized. This is a common cause of those fat bunker shots that never get out of the trap. 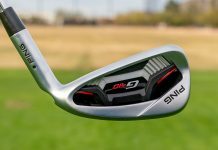 Since we instead want the club to pass through the sand more shallowly, try increasing the effective bounce of your wedge. 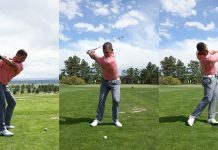 A simple way to accomplish this is by positioning the handle back toward the middle of your stance, and opening the face slightly (above, right). But we’ll leave it to Brad for the full recipe, so check out his video below and you’ll be on your way to better bunker play in no time! Not sure if this drill is right for you? 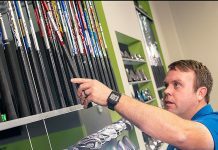 Find a GolfTEC near you and talk to a Coach who can help today!